November 25, 2005 Elizabeth Rifkin, 102, a life resident of Syracuse, died Friday at the Jewish Home at Menorah Park. Mrs. Rifkin was associated with her late husband, Frank, in Rifkin Beauty Salon on Jefferson Street until her retirement in 1965. She was a member of Temple Adath Yeshurun, the Temple Sisterhood and Hadassah. 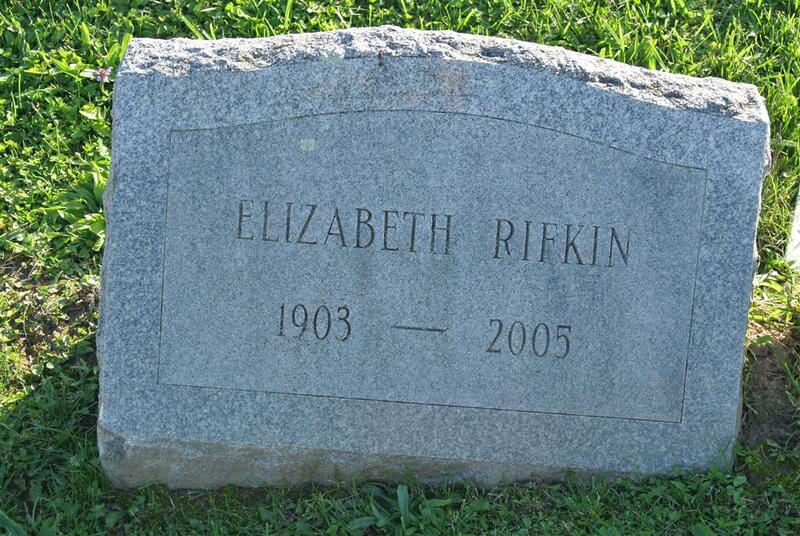 Mrs. Rifkin was predeceased in 1995 by her husband, Frank Rifkin. Survived by her daughter, Dianne (Rifkin) Kirshtein; two grandchildren, Kelli and Jonathan Kirshtein; and two great-grandchildren, Benjamin and Rachel Kirshtein. Graveside services and burial will be held 11 a.m. Monday, November 28, 2005, at Frumah Packard Cemetery. Contributions may be made to the Foundation at Menorah Park. Birnbaum Funeral Service Inc.